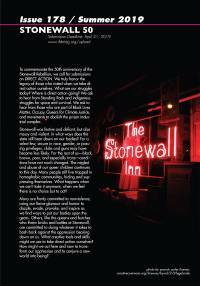 The longest-running reader-written gay quarterly around ... since 1974. 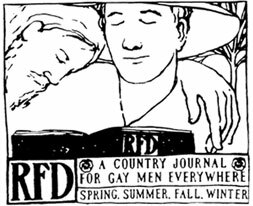 RFD is a reader-written journal for gay people which focuses on country living and encourages alternative lifestyles. We foster community building and networking, explore the diverse expressions of our sexuality, care for the environment, radical faerie consciousness, nature-centered spirituality, and share experiences of our lives. Quarterly issues are typically 64 pages, full color. RFD is produced by volunteers. We welcome your participation. The business and production are coordinated by a collective. We print in New York state. How do I get RFD Magazine? If you like paper, subscribe to RFD at our discounted sliding-scale subscriber rates ($6.25/issue and up) by clicking here. You can subscribe with a major credit card, PayPal or if you chose you can send a check payable to RFD Press to P.O. Box 302, Hadley MA 01035-0302. RFD also sells for cover price ($11.95) at these bookstores. Recent RFD issues are available online a month or two after publication on our issues page. Where do I find out about gatherings and other events? 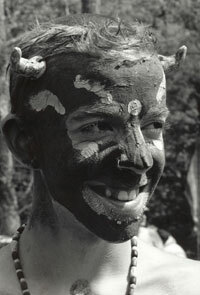 RFD has been a de facto journal of record of the Radical Faerie movement since 1979. RFD prides itself in making information about faerie sanctuaries and local faerie circles throughout the world by publicizing gatherings and other events. We have created a calendar which you can access here. RFD relies on it's readers to stimulate ideas and themes for future issues of the magazine as well as responding to our call for articles and artwork for each issue. Each issue of RFD comes out of community input for a theme. And our readers thankfully respond with wonderful poems, stories as well as photographs and artwork. Check out the next two issue's themes on our submissions page and contribute! 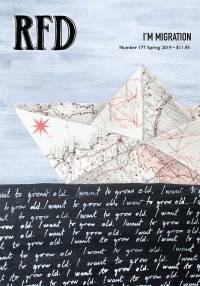 RFD operates as a collective - that collective is currently located in New England and produces each issue with the assistance of guest editors and teams of volunteers who may help put together an issue. If you are in the Northeast and have an interest in joining the collective or if you are from farther afield and wish to help on producing an issue of RFD, please be in touch. RFD also has a small Board of Directors who help guide the collective and promote RFD's mission to the wider community. If you have an interest in joining our Board, please send us a note. RFD has a group page on Facebook. We often use it to share information about upcoming issues, promote RFD events, and allow our larger RFD community to share ideas on our page. RFD has been in publication since 1974. We have back issues starting at issue number 16 for sale. These can be viewed on our issues page, where you can inquire about purchasing them. Prices vary from $5 to $25 depending on the rarity of the issues and shipping is additional depending on quantity ordered. Purchases of five or more issues gets you a 20% discount. RFD happily provides space for advertisers whose products we feel may be of positive value to our readers. Ads may be run from one to four issues consecutively and can be as small as a business card or as large as a full page. Please visit our advertising page for more info, pricing, technical details and purchase. RFD is available through independent bookstores. If you operate a bookstore and would like to carry RFD please contact us through the contact page. If you carry RFD, we offer to feature your store on this website. Copyright © 1974-2018 RFD Magazine, Inc. All rights reserved.